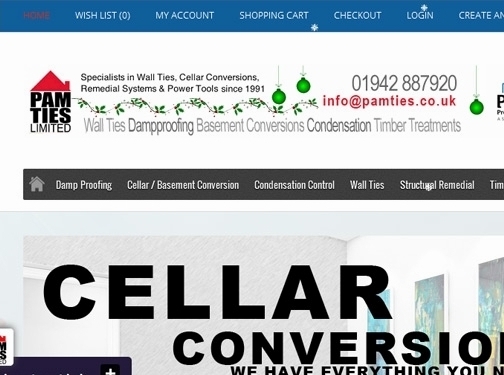 We are a family firm established in 1991 and supply thousands of builders, dampproofing contractors and other industry professionals throughout the UK and europe. Many suppliers of Wall Ties, membranes and dampproofing products source their products directly from us, before selling on to you. This invariable means that if you buy from us, you get the BEST prices! We have just launched our new website featuring hundreds of products at the best prices around! UK (Tyldesley, Greater Manchester) based business - established in 1991 - providing damp proofing/'water proofing products and services. Website includes details of services provided, e-commerce facilities, "meet the team" page, delivery and returns information, associations, full contact information including company registration number.